Let us guess what the one thing you already know about Ios Greece is. Probably that it is the ultimate party island, full of young people drinking and dancing the night out, right? Well, this is half the truth. You see, strange as it may seem, Ios happens to be a great place to unwind, too! But could it be for real? Could you have the best of both worlds in one island? We’re writing this post to pull back the veil on the island of contrasts, Ios! And then it’s up to you to decide: Is it worth the hype? 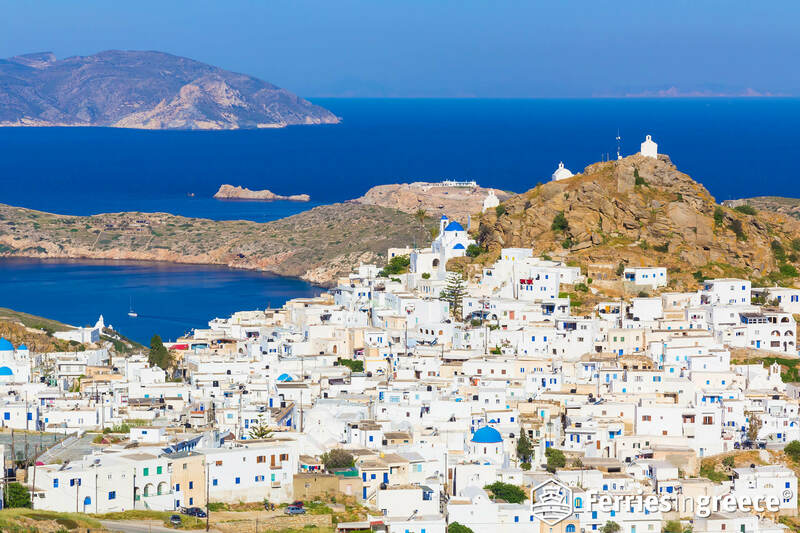 Ios Greece is located in the heart of the Aegean Sea, sandwiched between Naxos and Santorini. And you can tell its beauty is equal to that of its famous neighbors. Traditional whitewashed houses, 365 (!) churches, picturesque villages, goat farms (!) and beautiful beaches make this island stand out in the Cycladic island scheme. Chora, the island’s capital, is the perfect place to stroll around, especially during the day, when the most people are on the beach. Get lost in the paved narrow streets and feel the essence of the cycladic vibe. As the sun goes down, climb on the hill above Hora. There, you’ll find Panagia Gremiotissa, a beautiful church, which is also the perfect spot to enjoy the sunset! On the top of the hill in Chora Ios, behind the iconic whitewashed windmills, you’ll also find a gorgeous amphitheater. It is Odysseus Elitis Amphitheater, named after the famous Greek poet. This beautiful amphitheater is made of marble, according to the ancient Greek style. It also hosts festivals and many cultural events every year. Make sure you attend one! Be aware, though! Ios isn’t the ideal island for romantic holidays. But, if you’re planning a getaway with your girlfriend or pals, this island should be on the top of your list! You’ll see why in minute. In Ios, you’ll find more than 30 amazing beaches for every taste. Organized, secluded, pebbled or sandy, among them there’s the perfect one for you! 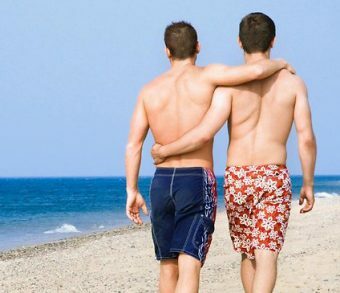 While beach parties, of course, take place in popular beaches, there are also many beaches off the beaten track. In fact, most of Ios beaches are secluded, retaining their original wild beauty. And what’s a better way to discover them, than going on a jeep safari? Just saying… But if you want to live the ultimate beach party experience, an organized beach with facilities such as bars, restaurants and water sports is your best option! 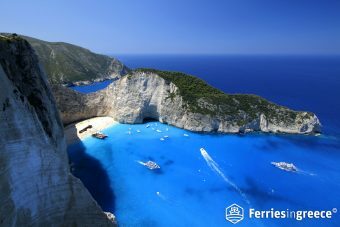 So, are you ready to explore the best Ios Greece beaches? Mylopotas beach is wildly popular and one of the best beaches of the island! 2 km of sugar fine sand, clean emerald waters, sundecks, umbrellas and water sports facilities are more than enough to make you fall in love with this beach. 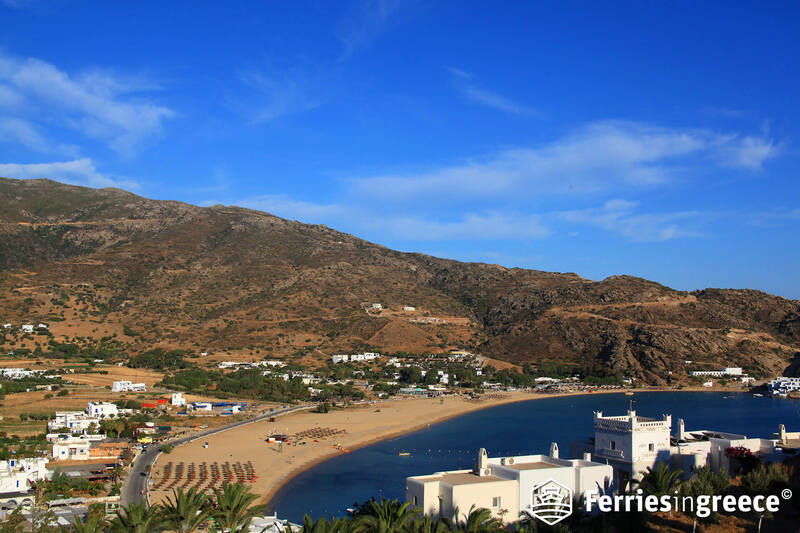 Just 3 km from Chora, Mylopotas is the perfect option for watersports lovers and beach party enthusiasts. So, if you want the real deal in Ios, Mylopotas is a one way destination! Hordes of young people from all around the world fill Mylopotas’ many beach bars every year and there’s a reason for that. It’s all about partying and living the Greek summer to its fullest! Just imagine 3 big beaches and many smaller ones, forming a mesmerizing lagoon. It’s not surprising that Mangari beach has been awarded with a Blue Flag, right? Its breathtaking landscape, warm waters and fine sand make Manganari one of the best places to swim in the Aegean Sea.Located 22 km from Chora, it is the perfect option if you like more secluded beaches or you’re on a family holiday. It’s also protected from the strong winds, so it’s great for swimming and snorkeling. Trivia: Many scenes of the famous movie “Le Grand Bleu” were shot on Manganari beach. This is another secluded beach with a beautiful natural landscape, surrounded by rocky cliffs, almond and olive trees. Just too good to miss! 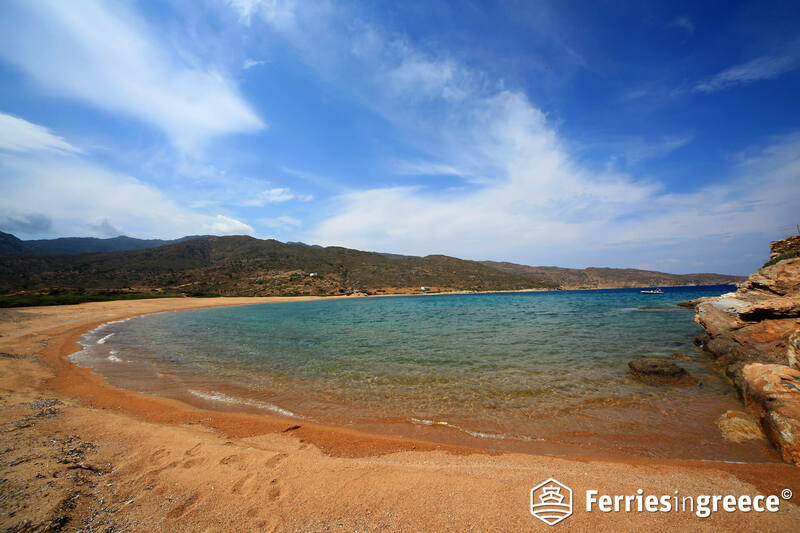 Kalamos beach is a huge sandy beach with crystal clear waters and is perfect for those who seek tranquility and relaxation. 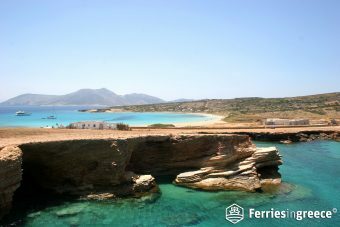 10 km away from cosmopolitan Chora, Kalamos is perfect for swimming and snorkeling! But, if underwater adventures aren’t your cup of tea, this beach is amazing for lazing on the sand. Tip: On your way to Kalamos beach,don’t miss to visit Agios Ioannis monastery, dating back to 19th century. Ios’ party scheme is too good to miss! 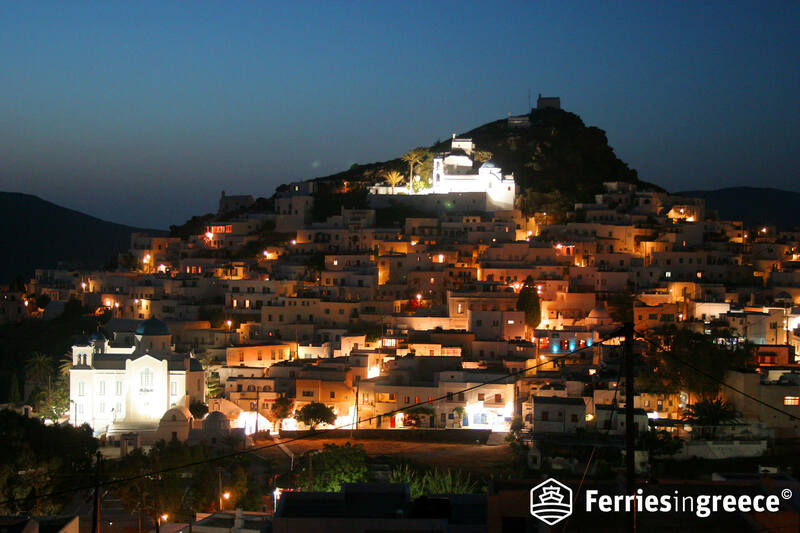 It’s not a secret that Ios Greece is an island that never sleeps. Young people from all over the world, amazing bars and sophisticated drinks put Ios on the top of the “Best Greek party islands” list. The heart of the party beats in Chora, where you’ll find bars and clubs for every mood and taste! But we know what you’re thinking. What are the best bars and clubs in Ios? No sweat fellow party animals, we got you covered! Built in 1974, it is one of the oldest and the most popular clubs in Ios. Located in the central square of Chora, Disco 69 is a top party destination. Drinks, cocktails, loud music and dancing all night long, guarantee unforgettable experiences! The loud music of this bar will catch your attention while passing from the central square of Ios. This popular bar is a meeting point, as the party starts early at its open outdoor space. The atmosphere in Red Bull bar is awesome! Who’s ready for a beach party? Located at Mylopotas beach (read above), Far Out beach bar is an ideal place for epic beach parties. Delicious cocktails, amazing sea view and dancing till the sun goes down is the recipe for some of the best party days and nights of your life! Famous for its tequila cocktails, this world famous bar already has 20 years experience in wild nightlife! Definitely try this bar’s bizarre tradition, “Slammer Hammer”. You basically wear a helmet, take a shot and get slammed by the bartender with a hammer. Crazy or what? Sophisticated shots and rock music put Orange bar in a whole new category of Ios’ nightlife scheme. Not to mention that it has been voted as one of the best bars in Ios. Don’t miss to try its yummy candy flavored shots (especially the chocolate one and the caramel one) and dance to rock music all night! Do you think that partying all day long is the only thing to do in Ios Greece? Whether you are an adventurous type, a party animal or just want to relax, Ios ticks all the boxes! For the adventurous ones, doing water sports in Ios will be an amazing experience! Water sport activities are very popular, as there are many facilities on the island’s organized beaches. Beaches with strong winds are ideal for windsurfing and most windsurfing centres in Ios offer equipment and training. But if you are a hiking lover, you’ll find some awesome hiking paths all over the island. For party animals, the answer is obvious. Partying all day, every day. 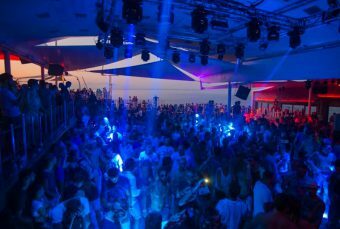 From midday till early morning, you can dance at some iconic parties in the numerous bars of Ios or at the beach. Young people from all over the world travel to Ios to experience nights of having fun, socializing and dancing. Are you ready to join? If you are more of a laid back type, you’ll love relaxing on one of the islands peaceful beaches. As for delicious food, Chora offers a great variety of dining options. 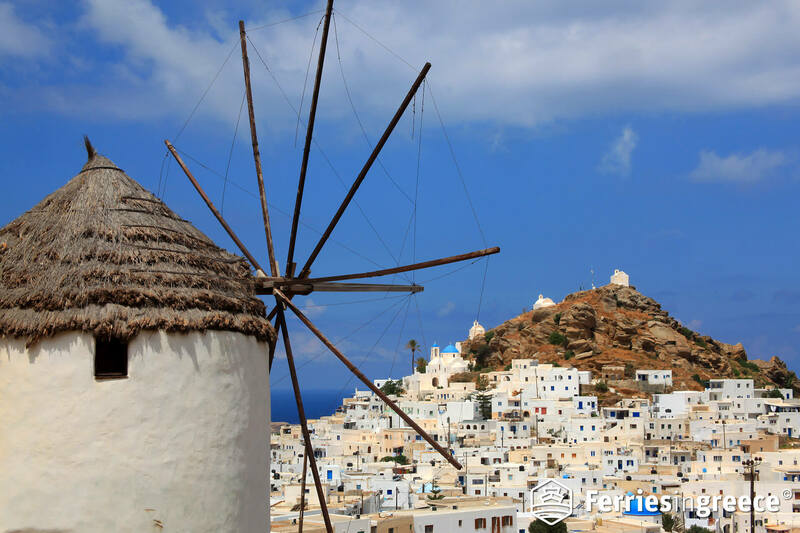 Discover the Cycladic cuisine and try traditional dishes while strolling around picturesque Chora. You can thank us later! Getting to Ios is pretty easy! 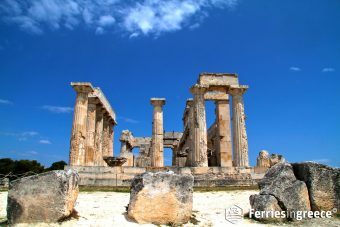 In high season, ferries to Ios depart from Piraeus port in Athens daily. The journey lasts from 4 to 7 hours, depending on the route and the vessel type. 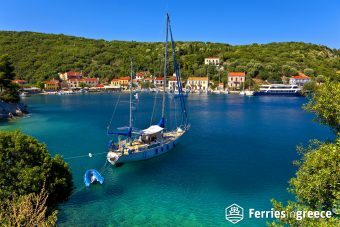 There might also be occasional ferries to Ios from the ports of Rafina and Lavrion, the two smallest ports of Athens. 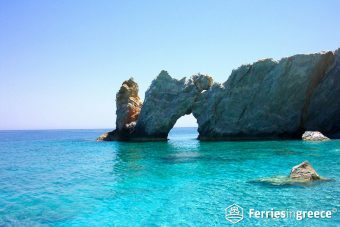 Ios can also be accessed by ferry from other Cycladic islands. That’s right, it’s an amazing island hopping destination! 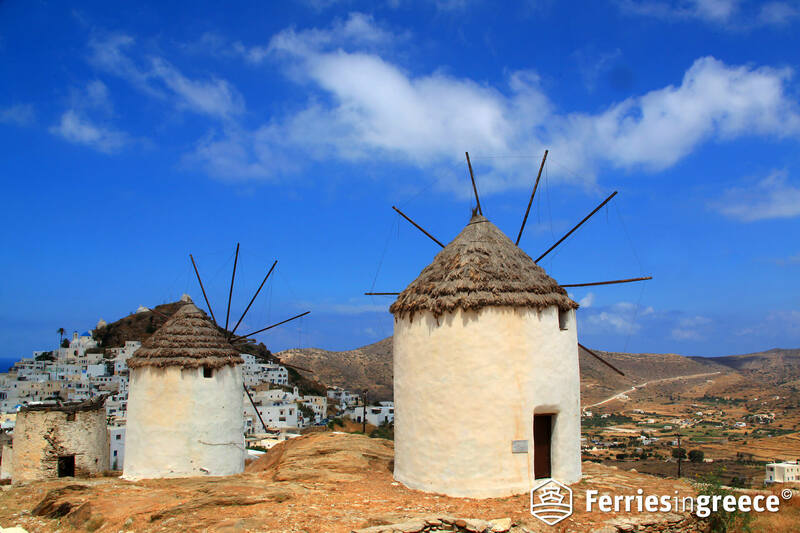 You can do island hopping from Ios to Paros, Naxos, Mykonos and many more cycladic islands. 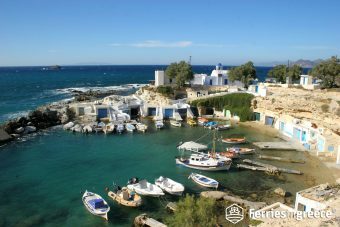 In short, Ios is the definition of an awesome Greek island destination! So, if you’re looking for the best party island in Greece, search no more. 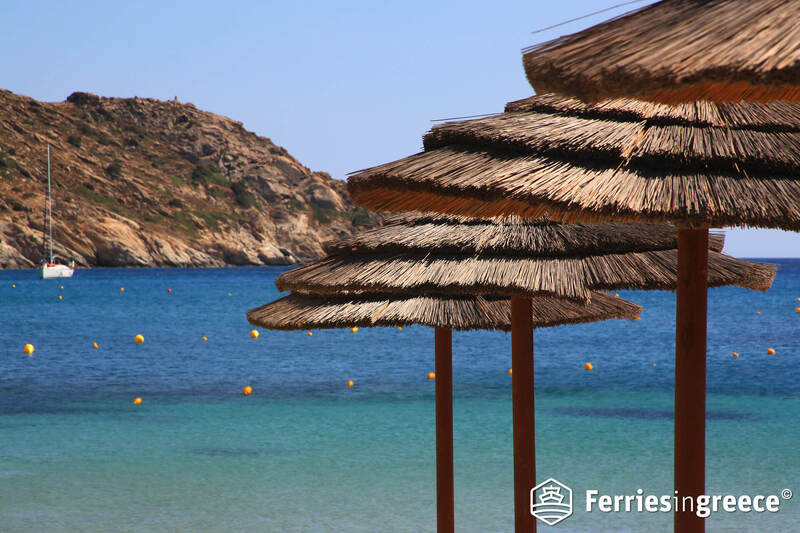 Book your ferry tickets to Ios Greece instead, and let the adventure begin.